After dying in a freak accident, Matt Cahill inexplicably “wakes up” three months later with the disturbing ability to see things—terrible things—that others cannot. Drafted as a warrior in the battle between good and evil, Matt will stop at nothing to destroy the malevolent Mr. Dark. 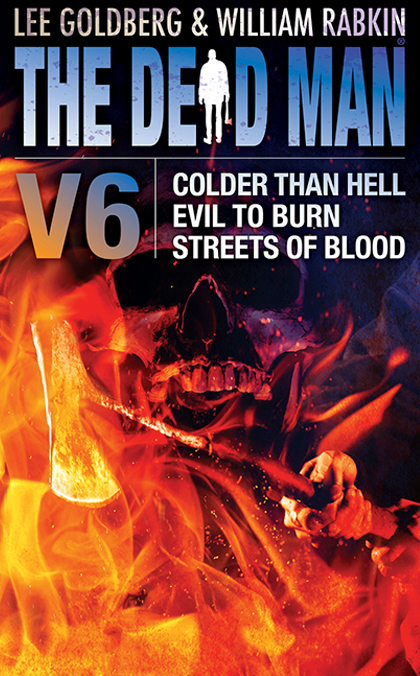 In The Dead Man Volume 6, a trio of sinister new stories tracks the reluctant hero on his nightmarish quest. A crippled Matt, badly injured in a bloody bus crash, is in a race against time across a blasted desert hell to prevent a massacre that will give Mr. Dark terrifying new powers and plenty of Evil to Burn. Matt is tormented by puzzling nightmares that draw him to a town that is covered in Streets of Blood by a dark force, one more powerful than Mr. Dark, that is driving people to commit insane acts of unimaginable violence.